Your back won't forgive you if you try to lift a heavy box. 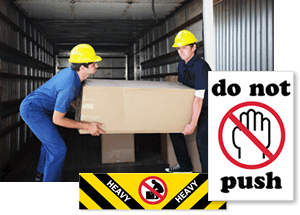 Warn everyone of heavy boxes with Heavy Shipment Labels. Striking stripes or symbols mark that the box needs an extra hand. 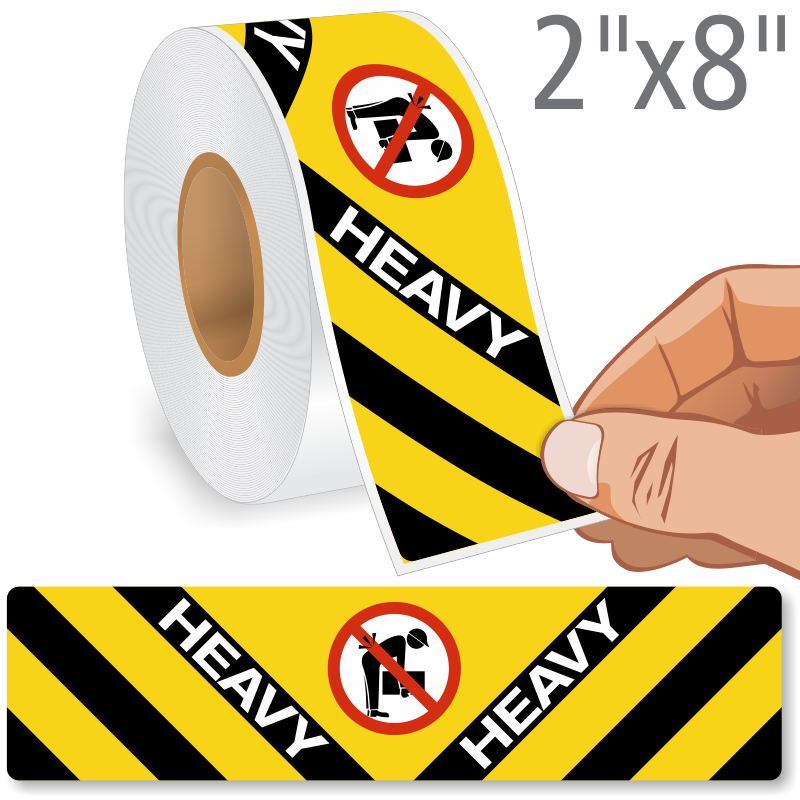 • Peel-off liner and strong adhesive works well on shrink wrap, corrugated cartons, and plastic or steel drums. • Available in convenient rolls of 500. • Flexographically printed with color-fast inks to withstand scratches or scuffing. Pressure-sensitive, self-adhesive colored and fluorescent labels available in rolls of 500.